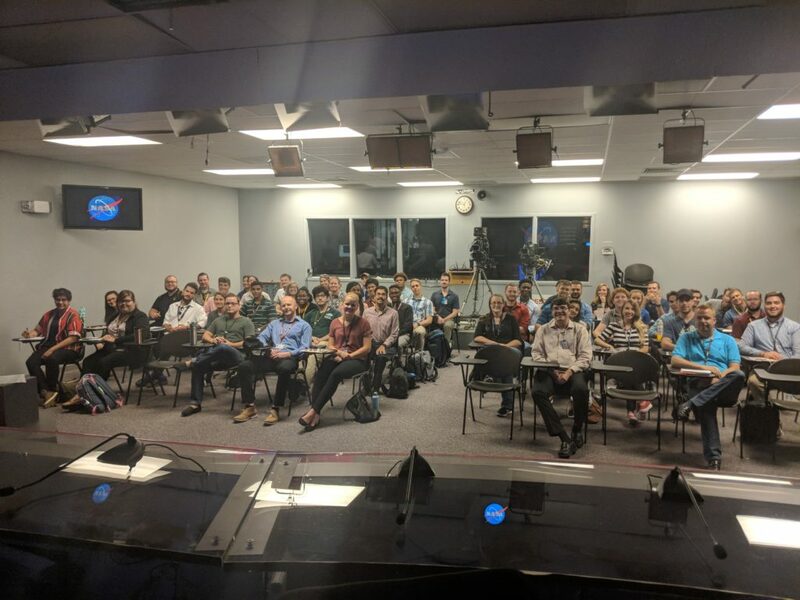 NASA’s Kennedy Space Center celebrated National Intern Day on Thursday, July 26, by highlighting various interns around the center. Throughout the day, the interns posted photos and videos on their Instagram story as part of their intern social media takeover. NASA interns at every center watched the agency’s administrator, Jim Bridenstine, as he spoke with interns at Goddard Spaceflight Center in Greenbelt, Maryland. The third and final aeroshell, at left, for Orion’s Launch Abort System (LAS) is in High Bay 4 of the Vehicle Assembly Building on July 12, 2018, at Kennedy Space Center after its arrival from EMF Inc. on nearby Merritt Island. The third and final aeroshell, at left, for Orion’s Launch Abort System (LAS) is in High Bay 4 of the Vehicle Assembly Building on July 12, 2018, at NASA’s Kennedy Space Center in Florida after its arrival from EMF Inc. on nearby Merritt Island. In the photo above, technicians prepare the aeroshell to be lifted off of the flatbed truck and transferred to slats. 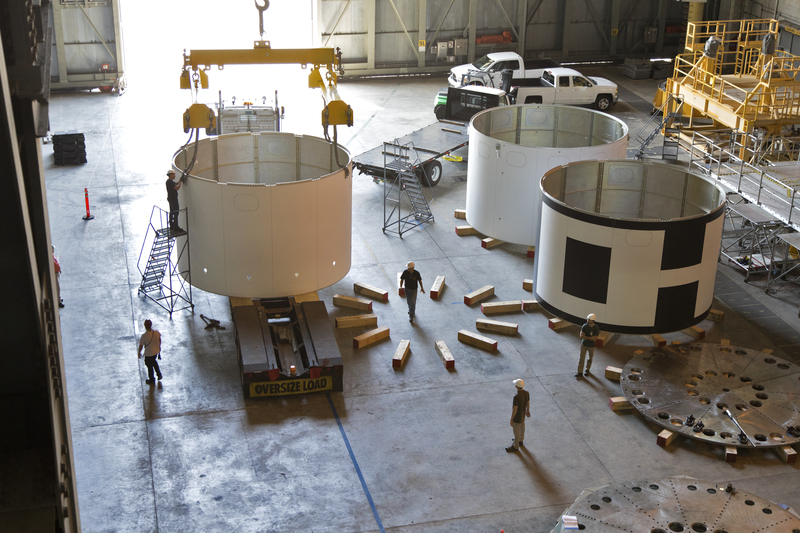 All three aeroshells will be stacked and prepared for a full-stress test of the LAS, called Ascent Abort-2 (AA-2) flight test, scheduled for April 2019. During the test, a booster will launch from Space Launch Complex 46 at Cape Canaveral Air Force Station carrying a fully functional LAS and a 22,000-pound Orion test vehicle to an altitude of 31,000 feet and traveling at more than 1,000 miles per hour. The test will verify the LAS can steer the crew module and astronauts aboard to safety in the event of an issue with the Space Launch System (SLS) rocket when the spacecraft is under the highest aerodynamic loads it will experience during a rapid climb into space. NASA’s Orion is being prepared for its first integrated uncrewed flight atop the SLS on Exploration Mission-1.